Skip the bare-bones, 330 square feet hotel room, and take your vacation to another level. A Hawaiian getaway may happen once, or twice a year, if you’re lucky; let’s make it count. What we offer is a home fit for a family of 6. A perfect place for those that want to take control of their own stay without sacrificing the luxury of style, amenities, and a staff committed to assisting in every way possible. Pili Mai 10E is a newly developed condo in a growing community. At 1,600 square feet, this top-floor condominium provides 3 bedrooms and 2.5 bathrooms. Celebrate with those closest to you by taking advantage of a spacious and complete kitchen and dining area. Don’t feel like eating inside? Then, shift over to your private lanai and catch those sunset skies and tradewinds. Central A/C will keep that Kauai humidity an afterthought as you stay glued to any of the 4 flat screen tvs. If that isn’t enough to stay cool, take a 3-minute walk up your road and discover a beautiful gated pool that includes a hot tub and children's pool; a workout room is also available to those with an active regimen. The home's master bedroom has a king-size bed, a spacious en-suite bathroom with spa shower, and its own private lanai. The first guestroom has a queen-size bed and en-suite bath, while the second guest room has two twin beds. All of our Great Vacation Retreats have modern amenities to make your stay as stress-free and enjoyable as possible. Bluetooth stereos and Smart TVs offer the latest in entertainment, and our electronic charging stations mean your group will never have to fight over outlets. Plus, you'll enjoy easy check-in and added security from our keyless Point Central Lock system. Location, Location, Location: Pili Mai 10E is right on the Kiahuna Golf Course and just minutes from shopping, restaurants, and the beach! Modern Hawaiian Living: All our Pili Mai condos have central air conditioning and other modern amenities to keep you comfortable throughout your stay. You'll get a taste of island life with all the comforts of home! Guest review taken from VRBO on 4/1/19 for Pili Mai 10E --- Very Nice Condo We enjoyed our stay at Pili Mai 10E. The condo interior with the master downstairs was perfect for my in-laws and the two bedrooms upstairs were good for my wife and I and our two kids. The kitchen is top notch and the patio door opens for nice breezes. The view is good over the golf course with hints of the ocean to the left and right. It is a second floor unit, so carrying the luggage up the first day took a little effort, but once we got in it was well worth it. We didn't use the athletic club and only used the pool once. Poipu beach was so close we did not see the need that much for the pool. We would stay again if for sure. Great Air Bnb - pictures dont do it justice! I would definitely recommend Pili Mai!! We were really impressed with all the memories the place provided. It was nice that laundry detergent was provided and the pantry had some things for us to cook with as well. Such a beautiful home. Very clean and spacious. loved that they provided beach chairs, a beach umbrella, two boogie boards, and a cooler. We needed new batteries for the fan and they responded quickly as well. would definitely recommend this place to others and would definitely choose to stay here again. Close to shops and the beach as well. Awesome on all levels..customer service...and..the property was beautiful and fully equipped, plus being centrally located. I could not have asked for more...a DEFINITE must return to location for me and my friends! Check it out!! Guest review on Airbnb for Pili Mai 10E dated 10/30/18: I would definitely recommend Pili Mai!! We were really impressed with all the memories the place provided. It was nice that laundry detergent was provided and the pantry had some things for us to cook with as well. Such a beautiful home. Very clean and spacious. loved that they provided beach chairs, a beach umbrella, two boogie boards, and a cooler. We needed new batteries for the fan and they responded quickly as well. would definitely recommend this place to others and would definitely choose to stay here again. Close to shops and the beach as well. Great Host and property. Everything was first class. We enjoyed a lovely family vacation at GVR. The condo was comfortable and decorated very nicely. Being near a pool and the beach was great for the kids and adults a like. We will recommend this place and hope to return soon. If you are planning to stay in Kauai, just book this place. Theres no need to search or browse the other locations in Air BNB Kauai. 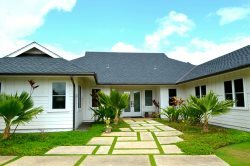 Im from Oahu and have stayed in many other Air BNBs with our production team, but this place made it very difficult to find an Air BNB that will match their customer service. I will admit that the photos taken do not do justice to the place. First of all, the place is incredibly spacious and REALLY CLEAN. Its like everything was brand new. Secondly, the amenities they offer cannot be topped by the hotels next door. And lastly but most importantly, their response to us when we stayed was truly appreciated. I am only booking in this place whenever I return to Kauai, and I go back often to shoot lifestyle documentaries and travel VLOGs. Trust me when I say that you dont need to look at any other place in Kauai. The Condo was so far beyond our hopes and expectations we wanted never to leave! We were made to feel welcome and special. Thank you so much. Such a great place. Thank you! Wish we were still there!! 2nd time staying here this year. It's exactly as advertised. Great location, quiet and perfect. Great for families, Love the amenities, definitely plan on returning soon. Great place to stay, new unit, on the golf course, just a short walk to the beach. Communications with Great Vacation is easy using cell phone and text messages. Would stay again. We had an amazing stay at Pili Mai! The apartment was a really good size for 4 people and extremely clean. It had all amenities that you would need and was calm and relaxing. The team were super responsive when we needed but otherwise the manual was self explanatory. The last three days of our trip we were supposed to stay at Marriott, but we loved Pili Mai so much we ended up extending our stay. Can't wait to come back Kauai and Pili Mai! Would highly highly recommend! Our family of 4 stayed here for 10 days, including our 17 and 22 year old kids. The condo was perfect for us. It's quite spacious, everything is brand new, clean and well-maintained. All the supplies you could possibly need are included (pots, pans, silverware, cooking utensils, spices, towels, beach towels, boogie boards, etc). It is about a mile from the beach, so you could walk there, but easier to drive. Walkable to a shopping center with a General Store, multiple restaurants and shops. The place is so new that there is still construction going on on new units right next door. The construction is all during the day, so it wasn't really an issue for us, but it does start early, so it makes it hard to sleep in late. Other than that, we loved staying here and GVR did a nice job of supporting our stay (providing early check-in and making sure we had everything we needed). Friendly and very helpful staffing! Liked their text message service for check in availability and questions. Working with the team members was quick and efficient. All my needs were met and the team was very accomodating. My family really enjoyed our stay and it made vacation be minimal work and mostly relaxation. The property, though under construction still at the time of our stay, was well maintained and there were community grills which were great to have available. The condo itself was clean, fresh with all new features and appliances, including smart tvs and high speed internet. I had seen the rental unit on multiple sites, but decided to go with Trip Advisor. Bruce contacted me quickly, and as I had made inquiries for a few locations under GVR, he let me know which rental was still available and put in a request for the Kama'aina rate, which was greatly appreciated. The agreement process was easy and I received prompt confirmation. Prior to our trip, I received multiple preparatory emails, including a "We Provide" list, which was handy to help our party with knowing what to pack. The directions for the keyless entry were also helpful. All contact while on-island was quickly responded to, even with the after-hours service. We absolutely loved the rental. It was spacious and really felt high-end. All the amenities were high-quality and in abundance. The kitchen and dining room are stunning and make the space feel huge. Both balconies are lovely and we spent a lot of time on the golf course-facing balcony, at both the lounge area and outdoor dining table. The bedrooms were really lovely, and all linens were luxurious. The TV in each bedroom as well as the living room were great bonuses. The two bathrooms were great, and the adults loved the shower in the Master bath. The upstairs tub was perfect for the kiddies in our group, and the included toiletries were spa-quality. It was also super helpful to have a washer and dryer, and dishwasher, along with detergents and softener. We had more than we could ever need, but it was great to not have to worry about anything. We appreciated the included Athletic club membership and utilized the pool a few times, when time permitted. We couldn't be happier with our trip and a lot was due to this fabulous rental and we hope to visit again next year, when the pool is installed. Thanks so much! I had seen the rental unit on multiple sites, but decided to go with Trip Advisor. Bruce contacted me quickly, and as I had made inquiries for a few locations under GVR, he let me know which rental was still available and put in a request for the Kama'aina rate, which was greatly appreciated. The agreement process was easy and I received prompt confirmation. Prior to our trip, I received multiple preparatory emails, including a "We Provide" list, which was handy to help our party with knowing what to pack. The directions for the keyless entry were also helpful. All contact while on-island was quickly responded to, even with the after-hours service. We absolutely loved the rental. It was spacious and really felt high-end. All the amenities were high-quality and in abundance. The kitchen and dining room are stunning and make the space feel huge. Both balconies are lovely and we spent a lot of time on the golf course-facing balcony, at both the lounge area and outdoor dining table. The bedrooms were really lovely, and all linens were luxurious. The TV in each bedroom as well as the living room were great bonuses. The two bathrooms were great, and the adults loved the shower in the Master bath. The upstairs tub was perfect for the kiddies in our group, and the included toiletries were spa-quality. It was also super helpful to have a washer and dryer, and dishwasher, along with detergents and softener. We had more than we could ever need, but it was great to not have to worry about anything. We appreciated the included Athletic club membership and utilized the pool a few times, when time permitted. We couldn't be happier with our trip and a lot was due to this fabulous rental and we hope to visit again next year, when the pool is installed. Thanks so much!